Most of the bulbuls are dressed in somber browns, olive tones, or grays, and are often heard before they are seen. However, several species have distinctive face markings with a bright splash of red, yellow, orange, or white plumage. 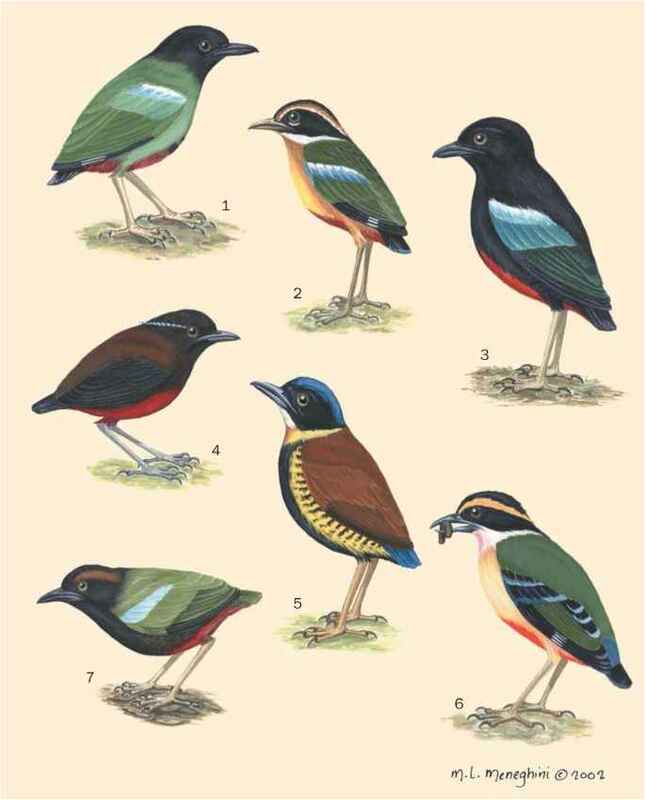 The plumage of Pycnonotus tends to be more variable than other genera, and these birds usually have are a red, yellow, orange, or white "vent" which contrasts with the rest of their underparts. Many species, especially among the Pycnonotus, Criniger, and some Hypsipetes, have long crown feathers that form a prominent head crest; the crest is absent in An-dropadus. Almost all have at least a few bristles on the nape of their short necks and a small area without feathers, such that a bulbul with its neck stretched out shows a small bare patch between the nape and upper back. The tail can be fairly long, usually with a round tip, although it is slightly forked in some species. Small to medium-sized birds, bulbuls range in size from 3.6 to 11.5 in (9.3-29 cm); and between 0.5 and 2 oz (15-59 g). Except for the finchbills (Spizixos spp. ), the pycnonotids have medium-sized, slender, notched bills. Among the Criniger, the bill is usually strongly hooked at the tip. Bulbuls tend to have short, weak legs and short, rounded wings. Males and females usually look alike, though the female is often slightly smaller; this size difference is greatest in Phyllastre-phus. Likewise, the juveniles look like the adults, but their plumage is duller and often more brown.